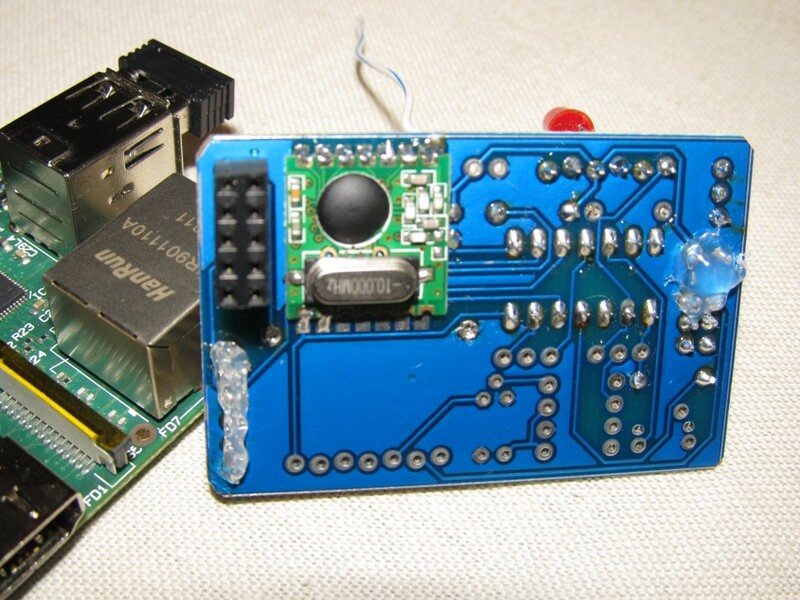 The TinySensor is a ATTiny84 based multi-purpose board. It is designed to primary serve as a low power, battery operated wireless remote sensor that will measure and transmit data to a remote base at regular intervals. For the purpose, there is a dedicated temperature sensor port (intended for DS18B20 one-wire temperature sensor bus) and a configurable voltage divider. The module has on-board RFM12B transceiver module, so it is able to communicate with other modules in the wireless network. Additionally, there is a SD card pin connector, that allows storing measurement data on a SD card, in really remote locations that may be useful option. A CR2032 battery slot can be used to power the board when the application permits ultra-low power mode and long intervals between transmissions of data. 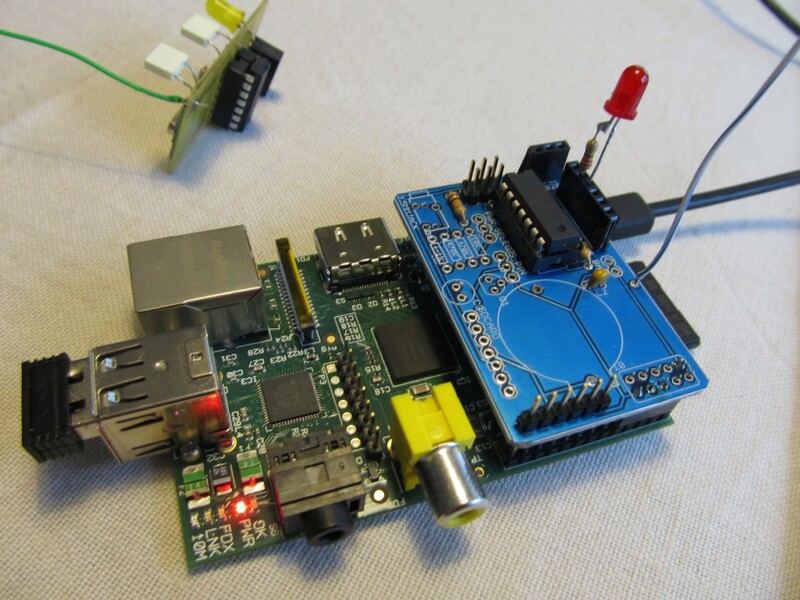 A Raspberry Pi connector allows plugging the TinySensor directly on a Raspberry Pi and using UART to communicate between the two modules. 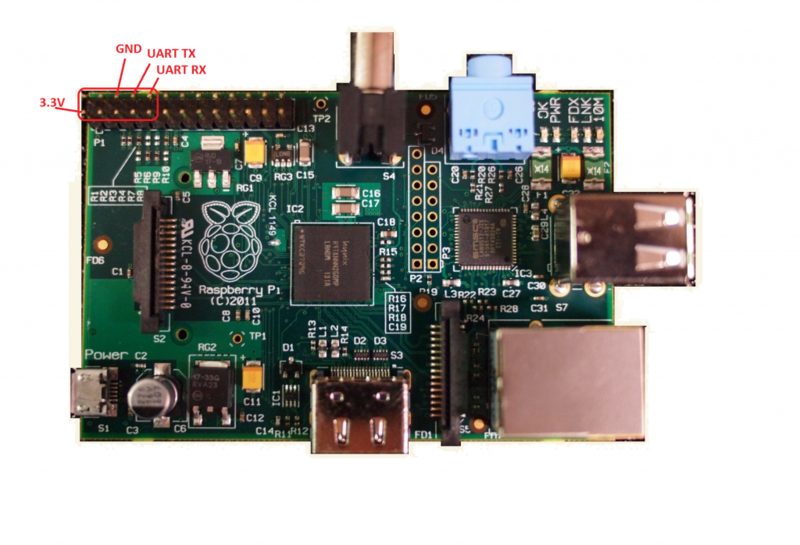 A good example usage is the RFM12b to Raspberry Pi serial gateway project. Building the TinySensor is pretty much trivial. Start with the lowest profile components and gradually add them in the order of height, this way the taller components won’t stand in the way. I usually start with the 10K resistors that keep the ATtiny84 reset and RFM12B’s Slave Select lines pulled up. If you will not use the ISP for programming, these two resistors may be omitted. If you intend to use the DS18B20 temperature sensor, you need to solder the 4K7 resistor that keeps the data line pulled up. I prefer to add headers instead of soldering the other resistors, so that I can change configurations on the run. Next, solder in the two decoupling capacitors. These are ceramic and orientation doesn’t matter. I then solder the RFM12B module on the bottom of the PCB. The orientation of the RFM may be a bit tricky to figure at first. 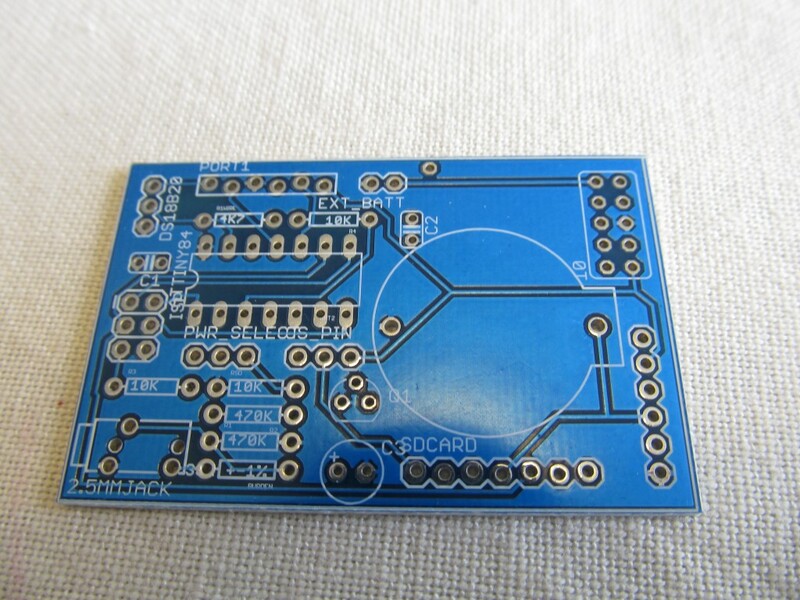 The crystal needs to go on the inner side of the pcb. Apply a small amount of solder on one of the pins so that it affixes the whole module. Adjust if necessary so it is in the middle of the footprint. Once positioned, solder carefully all connections. I hold the soldering iron a bit longer when soldering the RFM12Bs so that solder falls in the bottom of the module as well. Make sure there is solder on the top of the pad as well, I have had issues where I didn’t have enough solder applied. The antenna needs to be 82mm for 868Mhz modules. You can now solder a 14 pin socket (or the ATTiny84 directly, if you need low-profile, but the socket is recommended for most uses) and the ATTiny84. 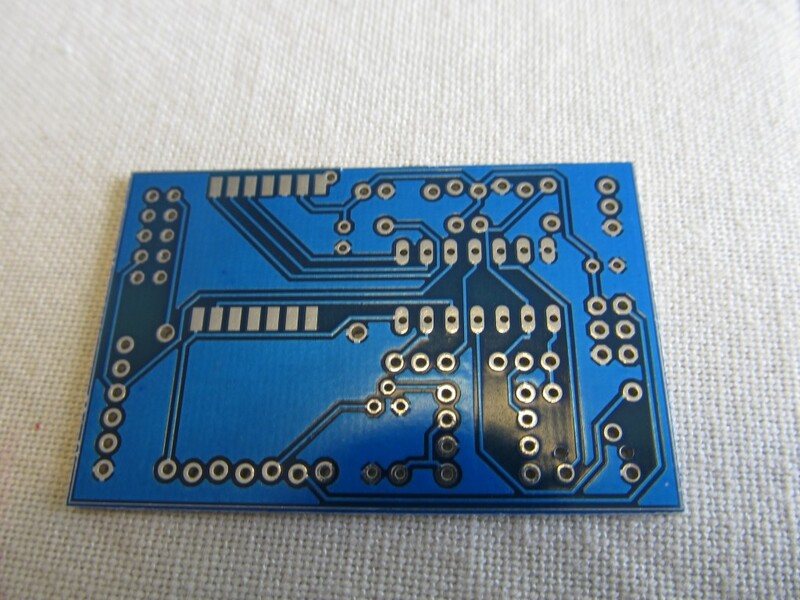 The silk screen shows the correct orientation of the socket and the chip. Next is the 6-pin ISP connector, if you will use it to program the ATtiny. 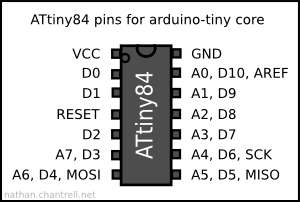 Check this post on how to setup Arduino IDE for working with ATTiny84. 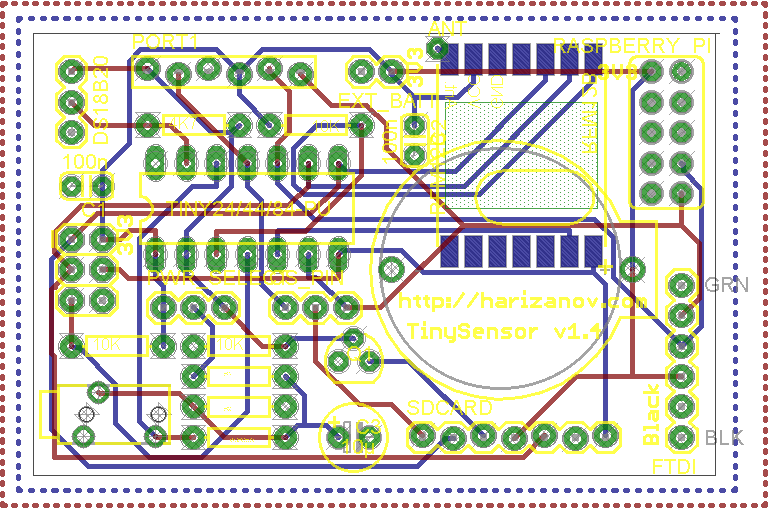 Check the code repository for TinySensor on github. 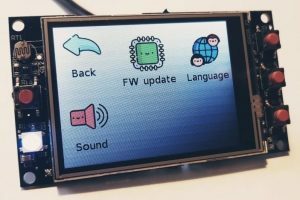 Note: Prior to doing any further work, please backup Raspberry Pi’s SD card. 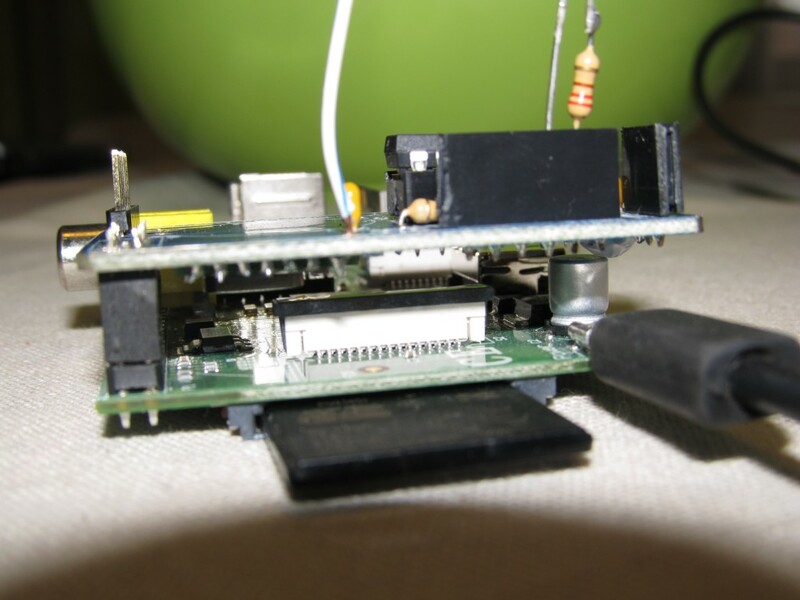 The TinySensor has a dedicated port sized 2×5 pins, that allows it to be plugged on a Raspberry Pi. It will get its power from the 3.3V line and will connect Pi’s UART TX and RX TinySensor’s PA3 and PA7 respectively. The TinySensor should not be powered from another source. see the section “Using an Arduino as an ICSP programmer”. That will require that you take out the ATTiny84 chip (I hope you used the dip socket I also include), Nathan’s post has a pretty good close-up picture of the wiring as well, plus a description. If for some reason this turns out hard, I can send you pre-programmed ATTiny84 that you will only have to plug in. As you probably noticed, I now offer pre-built and pre-programmed rfm2pi board, because I was afraid of such situations :). Anyway, that takes away a part of the learning experience, so when you manage it, you will have a lot new knowledge. You have my email address (the paypal address), you can contact me for further guidance there. In any case, let me know how it worked out. Is there any way to test its working before putting back into TinySensor. Whats next step. I have raspberry pi ready to go (I think). Indeed you are making progress, the sketch size matches what I get. As Nathan says in the post I referred, the ‘PAGEL and BS2’ message can be safely ignored, as long as it says “Done uploading” at the end. Hi, No luck over weekend. I had to reload fresh wheezy on raspberry pi as it hung and I now have some issues with wifi (wr703n on openwrt) on ethernet. Will try again next weekend. I’ll keep you posted on progress. Sorry to hear about it. Please keep me posted. Hi, Do I need to configure TinySensor e.g. frequency 868Mhz, Network 212 and node ID 31 (tinysensor). If I do could you please provide a guide or example. this will set the node ID to 25. Type ‘h’ to confirm it visually in the “Current configuration” line. this will set the band to 868Mhz. Type ‘h’ to confirm it visually in the “Current configuration” line. this will set the group to the default one 212. Type ‘h’ to confirm it visually in the “Current configuration” line. That’s the most important set of commands. What data are you going to pick up?